The story of the birth of the modern Women’s Movement is framed by two important publications—The Feminine Mystique and Ms. Magazine—and by the women who authored them: Betty Friedan and Gloria Steinem. When Friedan’s book came out in 1963, millions of American women had become uneasy under the constraints of 1950s post-war culture, which confined them to the home or to low-paying, dead-end jobs. The Feminine Mystique was, in the words of one reviewer, “a brick through the rose colored picture window of the American suburban bungalow.” At the same time, another group of women—younger and more radical—were emerging from the anti-war and Civil Rights movements determined to achieve their own revolution in American society. 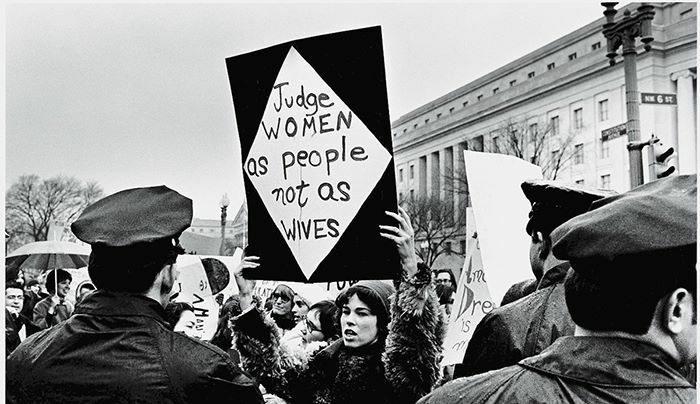 By the time Steinem founded Ms. Magazine in the early 1970s, these two streams of women had converged to create the modern Women’s Movement.